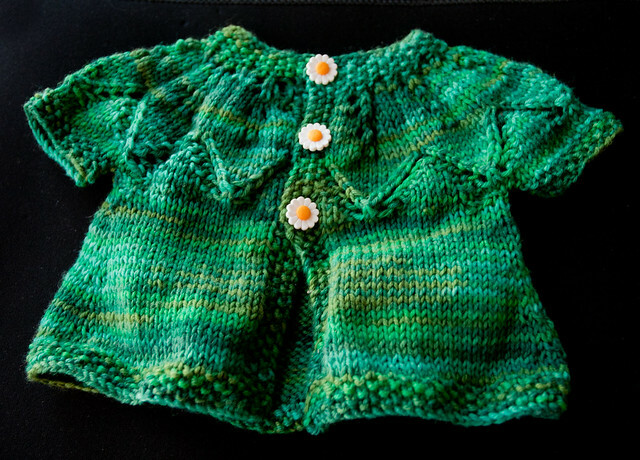 Leafy sweater for Baby O’Byrne | Curiousity? 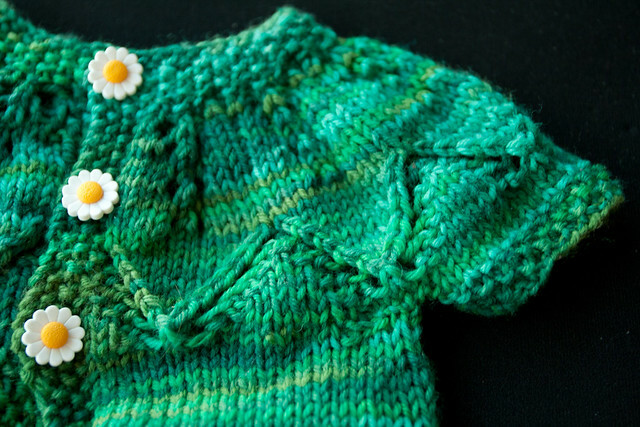 This little leafy sweater is a present for Baby O’Byrne, whose name is a secret until she makes it out into the world. She was due a few days ago as I’m writing this; I’m just waiting for the announcement of her arrival! I’ve scheduled this post to go up on May 31st, and we’ll see if she comes out before it does. I’ve been friends with Baby O’Byrne’s dad for a long time, so this sweater was made with him in mind. Ken and I have spent a great many hours hiking and camping together, so I had bought some variagated green yarn and when I saw this pattern in a book at the library, I figured I had a match. This isn’t the only piece I’ve made for her, but I forgot to take photos before packaging the rest up in time for the baby shower. (This one wasn’t ready in time so got sent later.) Oops! 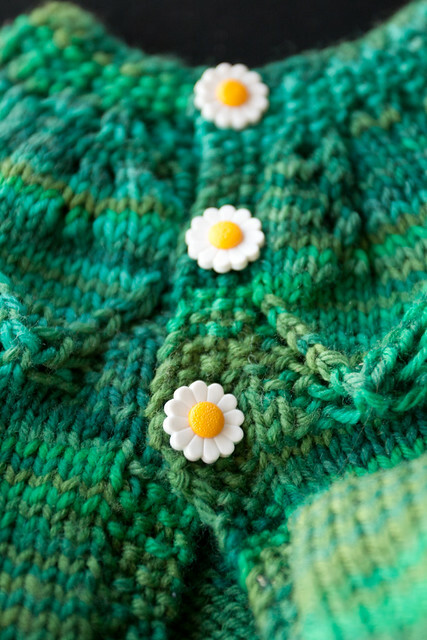 Her dad has a new camera, though, so maybe he’ll have time to take pictures of her wearing the two hats and two sets of booties I sent along before this sweater was finished. We’ll see how co-operative she is, though! Autumn Leaves by Nikki Van De Car from “What to Knit When You’re Expecting .” I really liked the book and will probably be buying my own copy rather than monopolize the library one again!